ALAMEDA, Calif.– Hangar 1 Vodka transitions to The Hangar 1 Distillery with the launch of its first-ever non-vodka offering: Bentwing Brandy, a super-premium blend of fruit-forward Northern California and Chenin Blanc-style French brandies. Inspired by its home state of California and an abundance of fresh, local ingredients, Bentwing Brandy offers a unique take on the growing California brandy category, by marrying new American know-how with Old World eau de vie blending techniques. Following the success of Hangar 1’s established portfolio of grape-based vodkas and the rise of brandy in California’s cocktail culture, the expansion into the brandy category was a natural progression for the brand. Perfect for spirits and culinary enthusiasts alike, Bentwing Brandy is finished in charred whiskey barrels, which lends a unique, well-rounded flavor profile to classic cocktails like the Metropolitan and Sidecar. 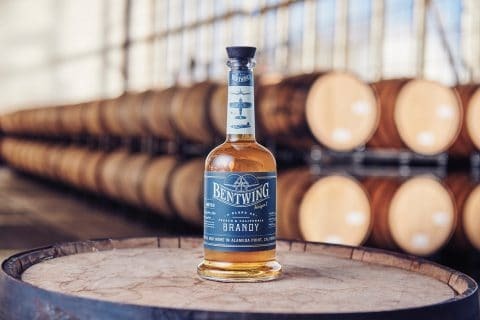 Bentwing Brandy is bottled at 40 percent ABV (80 proof), has a manufacturer’s suggested retail price of $29.99 (750ml) and is available at fine retailers nationwide as well as upscale restaurants and bars. Purchases and tastings can also be made by visiting the distillery in Alameda, California. Visit hangarone.com for more information and where to buy. Founded in Alameda, California, Hangar 1 Vodka began production in 2001 in an old WWII aircraft hangar, the inspiration for the brand’s name. Using traditional European eau de vie techniques, the finest Midwestern grain and ripe wine grapes are combined to create an incomparably smooth vodka with a softening hint of fruit essence. Hangar 1 introduced its “Straight” vodka in 2002 and has since gone on to redefine the flavored vodka category by incorporating just-harvested fruits purchased from local farms. Its core line of flavored extensions includes Mandarin Blossom, Makrut Lime and Buddha’s Hand Citron. In 2014, Hangar 1 moved to a nearby hangar space to set-up its own distillery and visitor center with the leadership of a new Head Distiller, Caley Shoemaker. In 2019, Hangar 1 Vodka became The Hangar 1 Distillery with the release of its first-ever non-vodka offering: Bentwing Brandy. The Hangar 1 Distillery is proud to create American-made spirits using traditional distillation methods and the finest ingredients that nature has to offer. 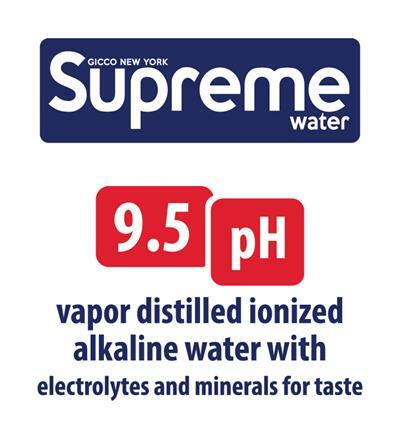 For more information, visit hangarone.com.